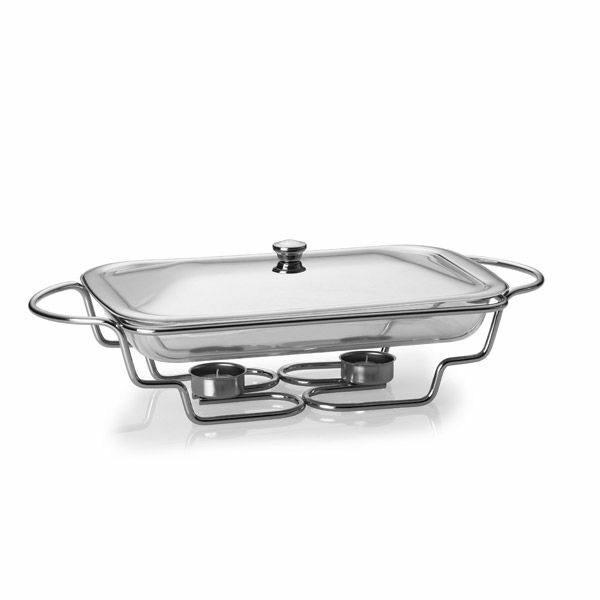 Entertaining was never easier than with this Modernist Bake & Serve Food Warmer Collection from Towle Living. 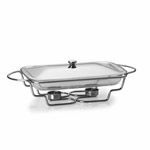 Each piece in the collection features an oven-proof glass baking dish moves from oven to table and then rests inside the included chrome plated stainless steel stand and comes with a lid. The added tealight candle feature keeps foods warm while you entertain. 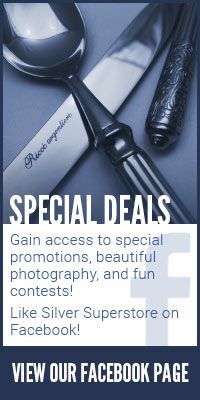 The glass liner from each piece is microwave safe and oven-proof, up to 500 degree F. Each stand features a care-free chrome plated finish, which will retain a bright luster and does not require polishing. Each glass liner is dishwasher safe while the other pieces should be hand washed with non-abrasive detergent and soft cloth. The round dish includes a 2-quart glass liner and measures 13 inches across (handle to handle) by 9-3/8 inches wide and 7-3/8 inches high. The oval dish includes a 3-quart glass liner and measures 17 inches long by 10-1/8 inches wide by 6-5/8 inches high. The oblong dish includes a 3-quart glass liner and measures 18 inches long by 9-7/8 inches wide by 6-5/8 inches high. The double oblong dish includes two 1-1/2 quart glass liners and measures 18 inches long by 11-3/8 inches wide by 6-5/8 inches high. This collection has been discontinued by the manufacturer. We have no stock remaining.